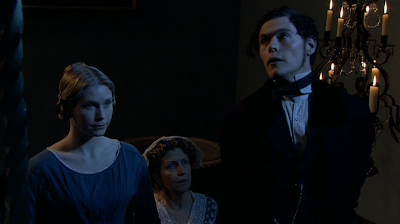 If you want to get into high quality Charles Dickens productions, I'd say a good place to start would be 2005's Bleak House, adapted by masterful Andrew Davies. Sure, there are better known stories, but, well, Christmas Carol you're probably overly familiar with already, and Great Expectations, Oliver Twist, mmm... 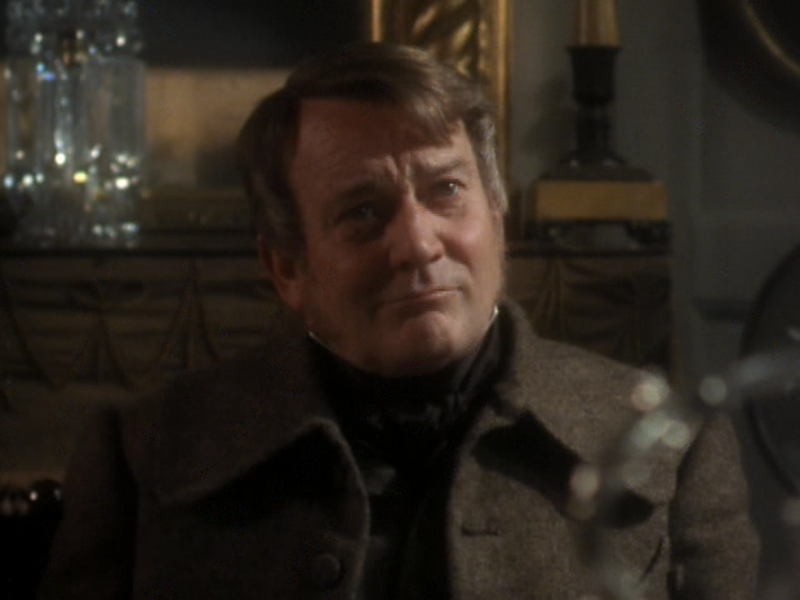 I think you'll get more pleasure out of Bleak House. And conveniently, it's available on DVD and blu-ray in three 3-disc editions (and that's just here in the USA), all of which I'll be taking a look at with you today. Two young, orphan cousins are brought to London to stay as wards at Bleak House because they are potential heirs to infamous Jarndyce estate. It is infamous because it's been legally contested for decades, confused by multiple wills and a seemingly endless array of relations and their solicitors making claims. And these two innocents have no idea what kind of complicated drama they're to become embroiled in, encountering a rogues gallery of characters including the scheming Mr. Tulkinghorn (Charles Dance), the charmingly selfish Skimpole, the nasty Smallweed, the honor-less Mr. Guppy, the eccentric Miss Flite, and the mysterious Lady Dedlock (Gillian Anderson). Seemingly everyone in the city has an interest in their case in one form or another. This 465 minute series has enough excellent, atmospheric production values to lure in anyone weary of a dry, formal Masterpiece Theater experience. There's a rich cast of character actors to bring even the minor schemers and plotters to unforgettably iconic life. 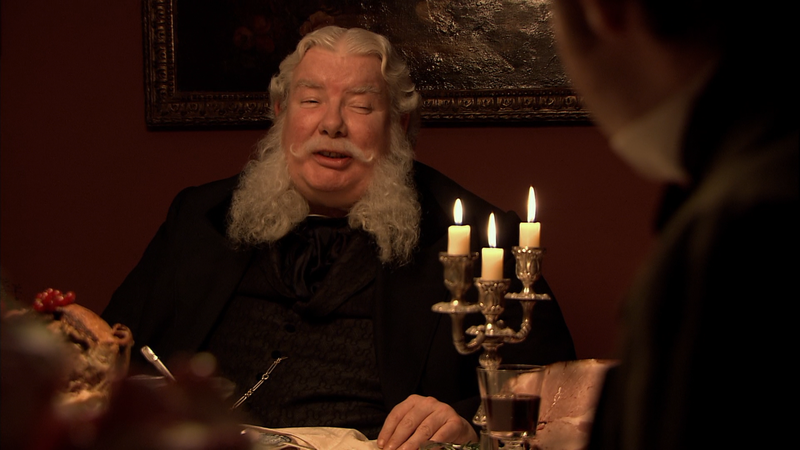 Davies can weave these plots with his hands behind his back, touching on the subtle points of humor without betraying the weighty drama, and the mini series length allows the story to unfold unabridged, as opposed to most cinematic adaptations of great novels, which are forced to cut and compress until they've cut all the meat from the story. 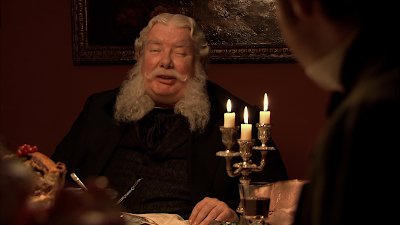 Your standard theatrical film runs about the proper length of a short story, so if you want to do Dickens right, you've got to come to a television production like this, or don't bother. 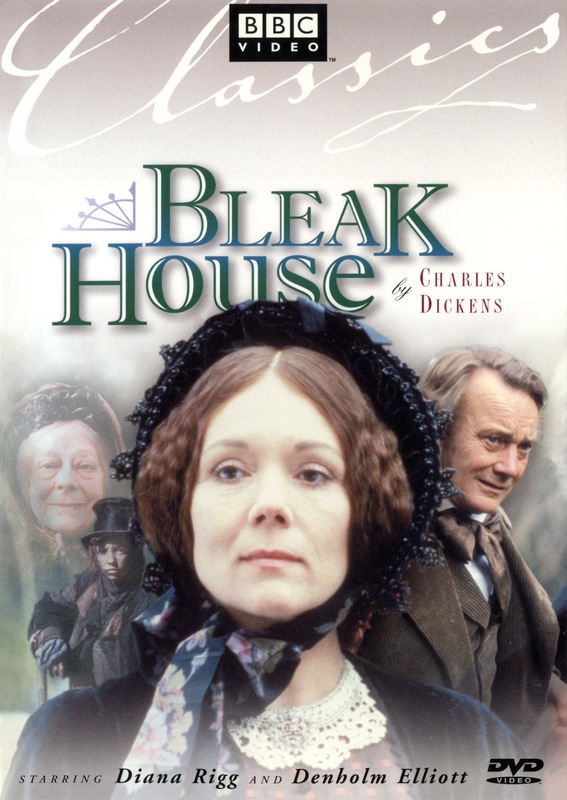 Bleak House debuted on DVD from Warner Bros and 2 Entertain in 2006, shortly after it first aired here as an official Masterpiece Theater entry in 2005. But as one of their more high profile series, I guess they felt it deserved more than their barebones 3-disc set could provide, so it was released again in 2009 as a special edition DVD. And since the series is one of the first Masterpieces shot in HD, they couldn't not release it on blu-ray as well, really. So here are all three. 2006 DVD on top; 2009 special edition DVD middle; 20099 blu bottom. Here's what I don't see: a huge wealth of difference between these editions to necessitate the re-release. I daresay the special edition DVD only exists to give the people who can't play blu-rays the new extras created for the blu-ray release. The blu-ray itself is a nice uptick in clarity over the compressed standard definition releases, but but between the DVDs, it's pretty negligible. Mind you, though, they're not identical. 2006 DVD left; 2009 special edition DVD middle; 20099 blu right. 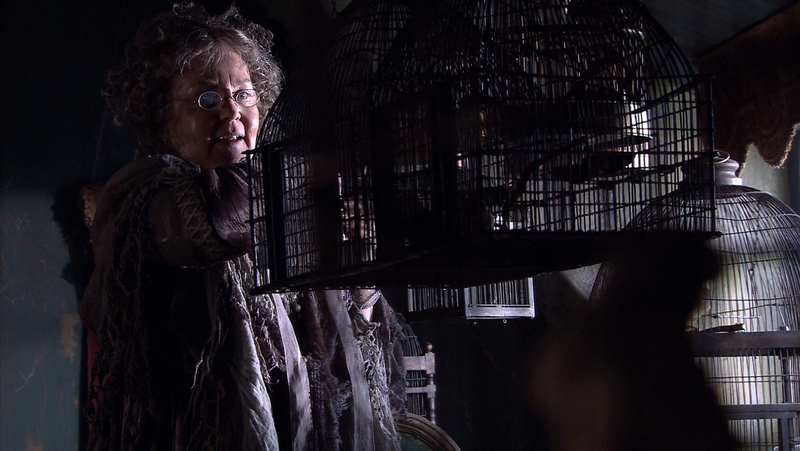 The original DVD is noisier, the line of her face against the background is jagged. On the other hand, the cleaner smoothness of the special edition DVD seems to have gotten that effect by over-softening the image. I'd say we might be losing grain detail except this was shot digitally, so we don't really want any of that. Even the blu is noisier, although that at least brings us added detail like the glint in her eyes and strands of her hair. So between the DVDs it's a toss-up down to personal preference, while the blu is easily the strongest image, despite it having its own issues. It's a 1080i transfer, so there are interlacing issues; but unlike most we encounter at DVDExotica, I don't think it has anything to do with DVD formatting struggles, it's just baked into the early digital footage. So it's as good as its going to get. 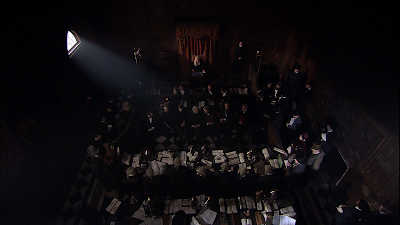 And honestly, the quality of image is pretty attractive thanks to the excellent cinematography and our expectations from all the previous, non-HD BBC productions. And even then, there's more of the book that could've been included here. All three discs feature very similar stereo audio tracks, though the blu's is lossless LPCM. And all three versions feature optional English HoH subtitles. The blu-ray has a commendable third audio track for the visually impaired, where a female narrator describes the action on-screen (:a young man nervously checks his pocket watch..."). As I said, the original DVDs were barebones, apart from a different BBC advertisement on each disc - how's that for keeping things exciting? But the new releases gave the series the respect it deserved. They provided rather amusing as well as informative audio commentary for three of the episodes by Davies, producer Nigel Stafford-Clark, and either director Justin Chadwick or Susanna White, depending who directed the particular episode you're listening to. There's a lot of laughter, but they never lose sight of being informative and filling the entire running time with insight and anecdotes. They've also got three 15-20 minute cast interviews with Gillian Anderson, Denis Lawson and Charles Dance, and a small photo gallery. dueling visions of the dreaded courtroom. 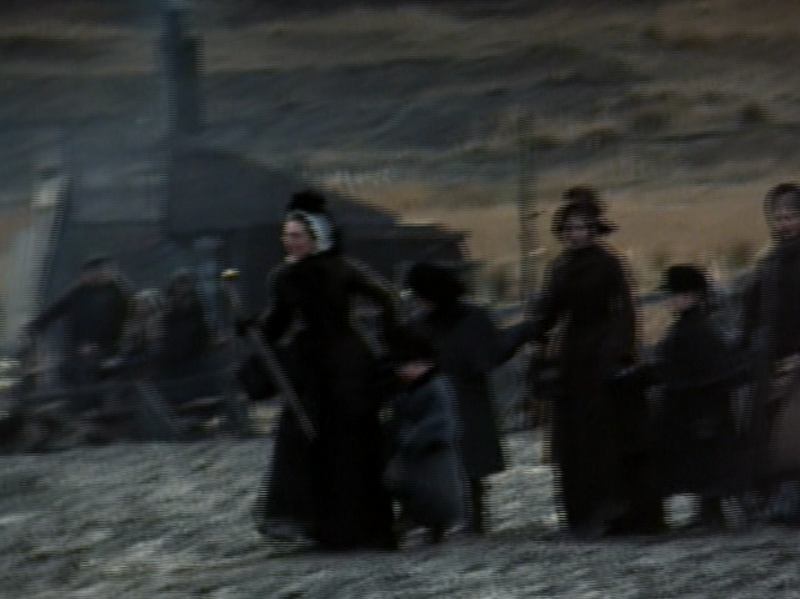 And once you've entered the world of Bleak House through the 2005 edition, I'd encourage you to stick around for the BBC's earlier 1985 production. Gone is the alluring, widescreen gloss of the newer version, but in its place is a very arresting if more subtle alternate version. I'm often one to find an ideal definitive version and stick with it - The Kyle McLachlan remake of Kafka's Trial is pretty good, but why bother with it when you can always watch the Orson Welles version instead? Kids might've liked the Keira Knightley Pride & Prejudice movie, but who needs that compromise once you've got the Colin Firth adaptation? But here, they're different enough that it's worth both visiting and revisiting them both. Much of the joy is seeing how each of this wild cast of characters is portrayed by a very different actor. Who's a more compelling Lady Dedlock, Gillian Anderson or Diana Rigg? 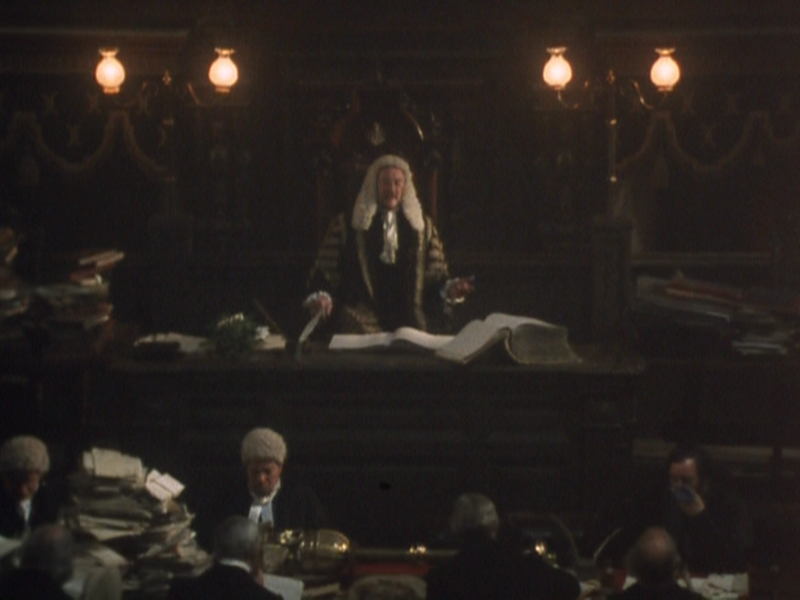 Who makes a more heartless lord chancellor, Ian Richardson or Graham Crowden? And John Jarndyce, well, there's no question Denholm Elliot still owns that role. Warner Bros' 2005 DVD release (timed to capitalize on the airing of the remake, no doubt) of the 1985 series does what it can with its fullscreen video transfer. Unfortunately it features interlacing which I don't think can be blamed on the original footage, but squarely on a lazy PAL to NTSC transfer. There are UK discs you can import to alleviate that, but the video quality is so basic, it's never struck me as worth the cost. There are no special features or anything to speak of, though the two-sided flipper disc at least features English HoH subtitles.